John Van der Kiste, author, was born in Wendover, Buckinghamshire, on September 15, 1954, son of Wing Commander Guy Van der Kiste (1912-99). He was educated at Blundell's School, Tiverton, where he briefly formed a rock band Cobweb with fellow pupil Miles Tredinnick, later vocalist with new wave band London and subsequently playwright and scriptwriter, and read Librarianship at Ealing Technical College, where he edited the librarians’ student magazine. 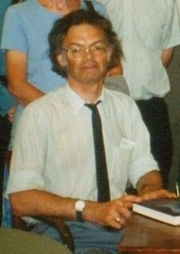 John Van der Kiste is currently considered a "single author." If one or more works are by a distinct, homonymous authors, go ahead and split the author. John Van der Kiste is composed of 5 names. You can examine and separate out names.